One by one Crazy Gorgeous Outfits by the looks of Tom Ford, Riccardo Tisci, Gareth Pugh, Haider Ackermann, Stefano Pilati and Marc Jacobs. 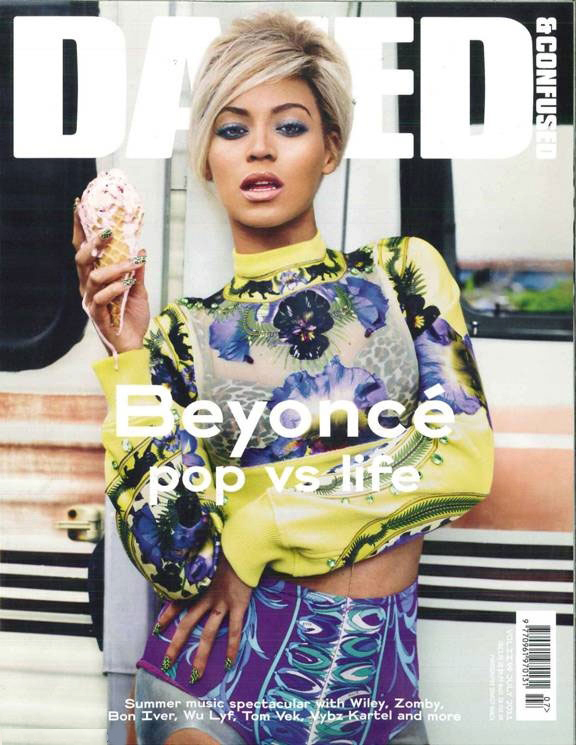 July´s Summer Edition of Dazed & Confused stars Beyonce all styled up in a trailer park Fantasy. "My music was leaked and while this is not how I wanted to present my new songs, I appreciate the positive response from my fans. When I record music I always think about my fans singing every note and dancing to every beat. I make music to make people happy and I appreciate that everyone has been so anxious to hear my new songs." For the ones who want to wait untill the official version, like me, your waiting will be awarded by an exclusive version of "4" with tracks that haven´t been heard. Well, sounds good to me! Oh, I'm a fan of the metal pallets pants! love this post, these pictures are so lively and beyonce is the bestt!!!!!!!!!!!! !